I’m pretty sure no one from work reads this blog so I think I’m safe sharing what I have done so far on my office Christmas knitting. 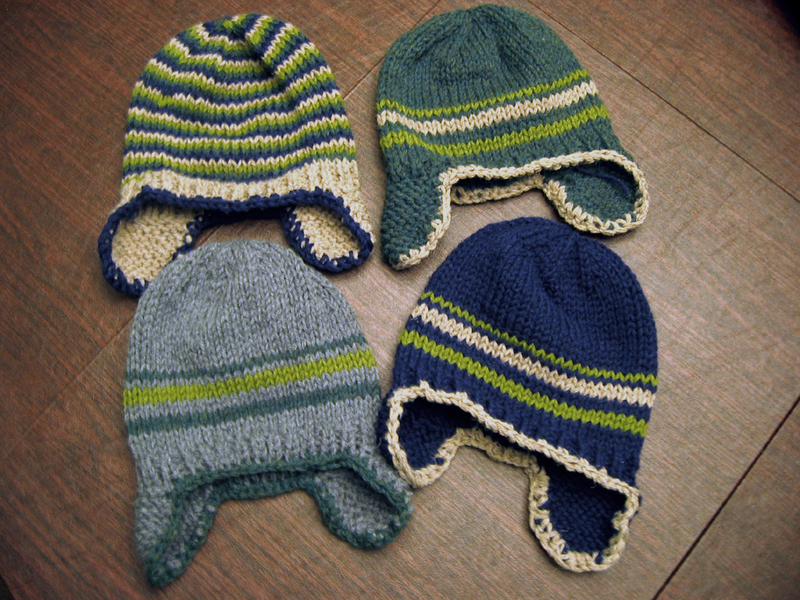 My plan was to knit mitts that coordinate with these hats that I made last year. 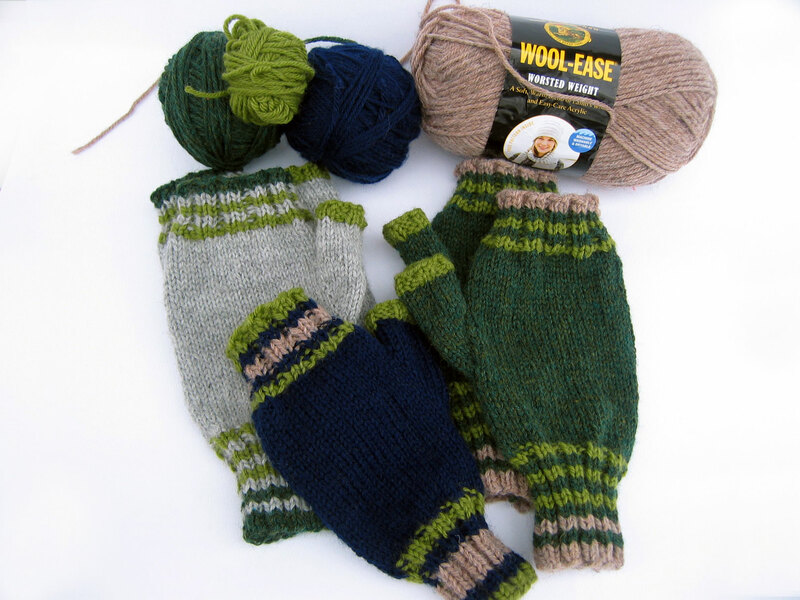 I still have one navy mitt to knit then another pair to coordinate with the striped hat in the upper left. I’m not sure how I want to do that final pair. These are knit in the round so any colorwork will also go around. Maybe bold stripes around the main hand part? There are still ends to weave in but I’m making headway. This entry was posted in Christmas, knitting, mittens and tagged Christmas, knitting, mittens by Patti_is_knittinginflashes. Bookmark the permalink. I do not know how you find the time to do all that you do. Really. You must be constantly on the move….how do you do it? You are a very motivated person. I’m just a lump. I agree with Jude. I don’t know where you get the time. I think there might be two of you.